Season eight, episode one of the Game of Thrones has finally arrived! As fans, we are excited for its welcome and as uber fans, we are saddened because alas, the final season is upon us. But instead of focusing on that, let’s focus on what a great episode the first one was and how important it is not to forget where many of these beautiful scenes were shot: right here in beautiful Dubrovnik! When Game of Thrones began nearly eight years ago, it introduced us to Westeros through the eyes of the Stark children, who believed in a world with an arc that bent inevitably toward justice and happy endings. It was a rose-colored moment that they would later look back on as a way to measure how much they had lost and far they have come. In the premiere episode of its final season, Game of Thrones brings us full circle, opening another child weaving through the crowd at Winterfell to gawk at the pomp and circumstance of another royal procession. While all of the surviving Starks have finally returned to their home, no children remain, either because they have died or stopped being children long ago. It was a subtle episode, a calm before the storm if you will, but it was poignant and necessary in order to prepare the audience for what is to come. Each land is preparing for war against the White Walkers and how they all choose to do it, and if they come together for it, remains to be seen. This is the beauty that is the Game of Thrones. No doubt this final season is going to be epic and something that will be talked about for a long time. Just because the series is ending, does not take away from the fact that fans will be around for a very long time. What better way to honor this infamous show than to tour where much of it was filmed: Dubrovnik, Croatia. 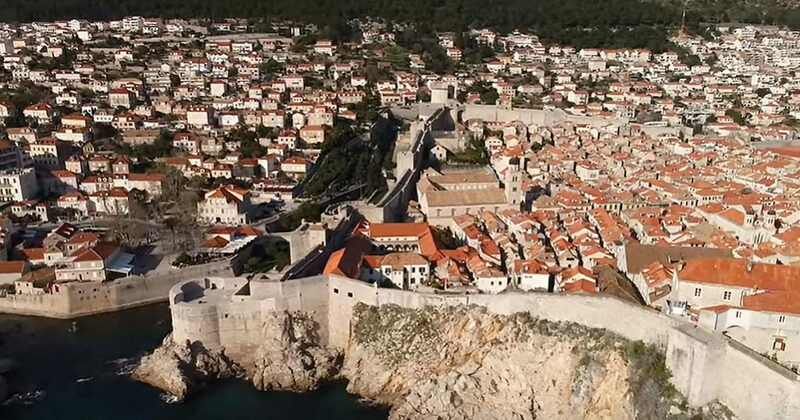 King’s Landing was filmed in Old Town where ancient walls surround the city to this day. There is no better way to make this show come to life than to actually visit where it was filmed. When you visit Dubrovnik you are transported back in time. Ancient architecture and serene ocean breezes remind you of a time gone by but keep you right in the present with wonderful restaurants and amazing attractions. What better way to tour this ancient city than to visit it with seasoned tour guides who will not only show you where the amazing Game of Thrones was filmed but also about this city’s rich culture and history that is unmatched. Come Tour the Game of Thrones with us. What better way to celebrate the eighth and final season of this iconic show than to see what it was made! We promise you will feel just like you are in the series! Very enjoyable tour with a very good tour guide! Tom was very knowledgable and took us to all the locations and provided photos from the show so we could see the scenes, and gave us lots of information (and took lots of photos for us!) Very polite and very friendly, really enjoyed the tour, thanks Tom!